Moorhead was platted in 1871. 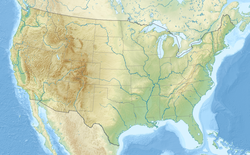 The city was named for William Garroway Moorhead (1811–1895), an official of the Northern Pacific railroad. Moorhead is bordered on the west by the Red River of the North and the city of Fargo, North Dakota. 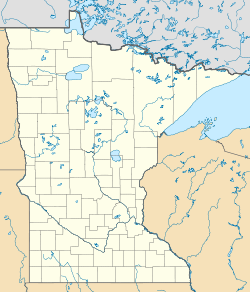 On the east, Moorhead is bordered by Dilworth, Minnesota. Moorhead, along with its twin city of Fargo, North Dakota, as well as adjacent West Fargo, form the core of the Fargo–Moorhead metropolitan area, which has a 2010 population of around 208,777 residents. The former Moorhead Armory on 5th Street South was the site of the intended concert destination for musicians Buddy Holly, Ritchie Valens, and The Big Bopper before their plane crashed in Clear Lake, Iowa on February 3, 1959. The building was demolished in 1990 and is now the site of Ecumen Evergreens, a senior living property. Moorhead is home to the first Dairy Queen to sell Dilly Bars. The Moorhead Dairy Queen is also one of only a few Dairy Queens operating on a contract signed in 1949,  which allows it to feature products not approved by corporate Headquarters. An example includes a chipper sandwich, vanilla ice cream sandwiched between two chocolate chip cookies and dipped in chocolate. Interstate 94 and U.S. Highways 10 and 75 are three of the main routes in the city. Other nearby routes in the Fargo–Moorhead area include Interstate 29 and Minnesota State Highway 336. As of the census  of 2010, there were 38,065 people, 14,304 households, and 8,372 families residing in the city. The population density was 1,922.5 inhabitants per square mile (742.3/km2). There were 15,274 housing units at an average density of 771.4 per square mile (297.8/km2). The racial makeup of the city was 90.7% White, 2.0% African American, 1.5% Native American, 2.0% Asian, 1.1% from other races, and 2.6% from two or more races. Hispanic or Latino of any race were 4.1% of the population. There were 14,304 households of which 29.4% had children under the age of 18 living with them, 43.5% were married couples living together, 10.6% had a female householder with no husband present, 4.4% had a male householder with no wife present, and 41.5% were non-families. 29.2% of all households were made up of individuals and 10% had someone living alone who was 65 years of age or older. The average household size was 2.41 and the average family size was 2.97. The median age in the city was 28.3 years. 20.9% of residents were under the age of 18; 23.7% were between the ages of 18 and 24; 23.4% were from 25 to 44; 20.5% were from 45 to 64; and 11.5% were 65 years of age or older. The gender makeup of the city was 48.4% male and 51.6% female. As of the census of 2000, there were 32,177 people, 11,660 households, and 7,030 families residing in the city. The population density was 2,394.3 people per square mile (924.4/km²). There were 12,180 housing units at an average density of 906.3 per square mile (349.9/km²). The racial makeup of the city was 92.08% White, 0.77% African American, 1.94% Native American, 1.27% Asian, 0.04% Pacific Islander, 2.10% from other races, and 1.79% from two or more races. Hispanic or Latino of any race were 4.47% of the population. There were 11,660 households out of which 31.4% had children under the age of 18 living with them, 47.3% were married couples living together, 9.8% had a female householder with no husband present, and 39.7% were non-families. 29.2% of all households were made up of individuals and 11.1% had someone living alone who was 65 years of age or older. The average household size was 2.43 and the average family size was 3.04. In the city, the population was spread out with 22.7% under the age of 18, 23.1% from 18 to 24, 24.2% from 25 to 44, 17.2% from 45 to 64, and 12.8% who were 65 years of age or older. The median age was 29 years. For every 100 females, there were 88.4 males. For every 100 females age 18 and over, there were 83.3 males. The median income for a household in the city was $34,781, and the median income for a family was $49,118. Males had a median income of $33,137 versus $23,717 for females. The per capita income for the city was $17,150. About 8.2% of families and 16.3% of the population were below the poverty line, including 14.9% of those under age 18 and 6.4% of those age 65 or over. Agriculture remains prominent in the area, but Moorhead is also home to notable corporate, manufacturing and distribution industries, including [American Crystal Sugar] (corporate headquarters and sugar beet processing), Busch Agricultural Resources (malt manufacturing) and Pactiv (container manufacturing). The unemployment rate is consistently below the national average and property values are stable. The Rourke Art Gallery and the Rourke Art Museum are native Moorhead cultural institutions hosting the annual Midwestern Invitational Exhibition. The museum displays an important art collection from local, regional and national artists. The Rourke Museum is housed in the historic Moorhead Post Office building. The Hjemkomst Center is located in the city. It is a museum containing a re-creation of a Viking ship of the same name. The Hjemkomst vessel was built in nearby Hawley by Moorhead resident Robert Asp, and was sailed to Norway by his children after Asp's early death. The ship is now permanently housed in the center. The Clay County Museum and Archives, operated by the Clay County Historical Society, interprets the history of Clay County in a free museum in the lower level of the Hjemkomst Center. The Society has more than 30,000 artifacts in their collection, one of the largest and most important historic collections in Minnesota outside of the Minneapolis-St. Paul area. Located on the grounds of the Hjemkomst Center is a Stave Church. The traditional Norwegian-style church serves as a symbol of the Norwegian heritage in the Red River Valley. The church is a full-scale replica of the Hopperstad stave church in Vik, Norway. The Fargo-Moorhead RedHawks is an independent professional baseball team that plays at Newman Outdoor Field in Fargo. They are part of the American Association. Jason Blake (MHS '92) Most recently played for the Anaheim Ducks, formerly of the Toronto Maple Leafs and New York Islanders. He played at the 2006 Olympic games for the United States in Turin, Italy. He was named an NHL all-star during the 2006–07 season and was awarded the Bill Masterton Memorial Trophy in 2007–2008 for being the "player who best exemplifies the qualities of perseverance, sportsmanship, and dedication to ice hockey." Ryan Kraft (MHS '94) Played for the San Jose Sharks. He also played for the EC Kassel Huskies in Germany, including contributing to their 2007–2008 Bundesliga championship. Prior to that, he played in the AHL, IHL, and ECHL. He also represented Team USA at the 2001 IIHF World Championship. Matt Cullen (MHS '95) Currently playing for the Pittsburgh Penguins. He was a member of the 2005–2006 Carolina Hurricanes who won the NHL Stanley Cup (championship) in 2006. He also played at the 2006 Olympic games for the United States in Turin, Italy. Mark Cullen (MHS '97) Currently a professional hockey player in Europe. Most recently played in the NHL for the Florida Panthers. Originally signed to the Minnesota Wild in 2002 after a collegiate career at Colorado College, he has played for several AHL teams throughout his career, as well as for the Chicago Blackhawks and Philadelphia Flyers. He also represented Team USA at the 2006 IIHF World Championship. Brian Lee (MHS '05) Most recently played for the Tampa Bay Lightning. Previously played for the University of North Dakota and the U.S. National Junior Team. Also played for the Ottawa Senators. Chris VandeVelde (MHS '05) Currently playing for the Philadelphia Flyers. Previously played for the Oklahoma City Barons (AHL), the University of North Dakota (winners of the 2010 WCHA Final Five tournament), and the Lincoln Stars (USHL). The city has four institutions of higher learning: Concordia College (private Christian liberal arts college), Minnesota State University Moorhead (public university), Minnesota State Community and Technical College (two-year to four-year technical college), and Rasmussen College (a two- to four-year college). The combined student enrollment of these colleges is approximately 14,000. K-12 education is provided to over 5,000 students by the Moorhead School District: S.G. Reinertsen Elementary, Robert Asp Elementary, Ellen Hopkins Elementary, Horizon Middle School and Moorhead High School. All of these schools are new or remodeled thanks to a $64 million investment in 2004. The district is known for its high student achievement with students consistently performing above the national average on the ACT. The district includes the cities of Moorhead, Georgetown, Kragnes, and Sabin. The city includes the Red River Area Learning Center and the Probstfield Center for Education. Park Christian School is a private Christian school in Moorhead providing a K–12 education as well as St. Joseph's, a Catholic elementary school. Ada Comstock – (1876–1973) Master's degree, Columbia University 1899, first full-time president of Radcliffe College. Olaus Murie – (1889–1963) biologist, author, ecologist. Half-brother of Adolph, and member of Murie family. Sister Annella Zervas, O.S.B., (1900–1926) nun of Saint Benedict's Monastery and the closest that Minnesota possesses to a Canonized Saint. Her current title is Servant of God. Moorhead is briefly referenced in the 1998 Coen brothers' film The Big Lebowski as the hometown of one of the main characters, Bunny Lebowski, played by Tara Reid. The high school photo of Bunny shown in the movie even has her wearing the correct orange, black, and white school colors of the Moorhead Spuds. Moorhead is also mentioned in the 1978 film The Buddy Holly Story as the next stop in the ill-fated Winter Dance Party tour. Buddy Holly, Ritchie Valens and The Big Bopper died in a plane crash en route to their scheduled performance at the Moorhead Armory Building from Clear Lake, Iowa on February 3, 1959. ^ "A Dilly Bar in Fargo-Moorhead? You Betcha! - Fargo-Moorhead". fargomoorhead.org. 17 March 2012. ^ "Moorhead man behind Dilly Bar dies at age 91; known as 'Dairy Queen Bob'". Inforum. November 19, 2013. Archived from the original on December 8, 2014. ^ "Rogue Dairy Queen has been ignoring corporate HQ since 1949". New York Post. July 23, 2015. Retrieved 12 July 2017. ^ "Population Estimates". United States Census Bureau. Archived from the original on October 19, 2016. Retrieved June 7, 2016. ^ "Comprehensive Annual Financial Report – 2013". City of Moorhead, Minnesota. 2013. ^ "Moorhead City Council member says city should step in on Blu..."
^ "2009–2015 Past Events – Bluestem Amphitheater". bluestemamphitheater.org. ^ "Solomon Gilman Comstock". Minnesota Legislative Reference Library: Legislators Past and Present. Retrieved 22 March 2015. ^ icenetwork.com: Skaters. Web.icenetwork.com. Retrieved on 2013-08-25. ^ "About the District". moorhead.k12.mn.us. Archived from the original on May 12, 2008. ^ "Moorhead Public Library, 102 6th Street South, Moorhead, Minnesota (Razed) - Placeography". www.placeography.org. ^ "Moorhead honors former Spud by naming school after her". ^ "Minnesota State Law Library-Wallace B. Douglas". Archived from the original on 2014-01-05. ^ "Official Homepage of Becky Gulsvig". www.beckygulsvig.com. ^ icenetwork.com: Skaters. Web.icenetwork.com (2006-08-04). Retrieved on 2013-08-25. ^ "ROY WILLIAMS". profootballarchives.com. Archived from the original on November 29, 2014. Retrieved November 17, 2014. ^ Peterson, Collin. "About Me | Congressman Collin Peterson". house.gov. U.S. House of Representatives. Retrieved 28 July 2018. ^ Keillor, Garrison, quoted in Peter A. Scholl, Garrison Keillor (New York: Twayne, 1993). ^ Elmer, Oscar. Journal. Unpublished manuscript. Wikimedia Commons has media related to Moorhead, Minnesota.